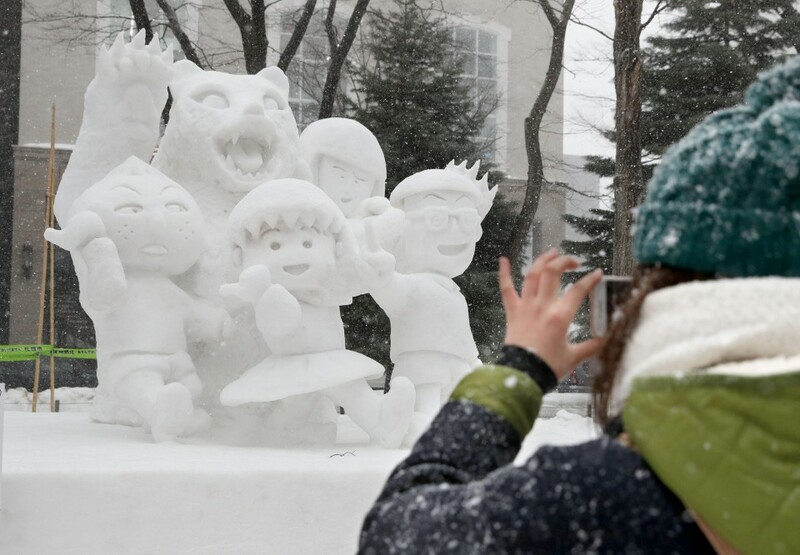 The annual Sapporo Snow Festival, one of Japan's most celebrated winter events, officially opened Monday in the Hokkaido capital, with locals' minds still on the massive earthquake that shook the nation's northernmost main island five months earlier. 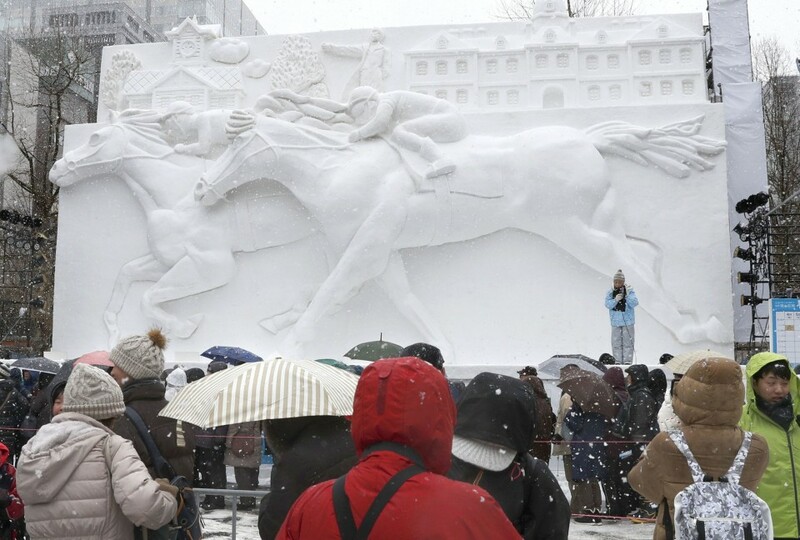 Among some 190 snow and ice sculptures on display is a sculpture of thoroughbred horses, animals that are famously bred in the Iburi region that was hit hardest by the disaster which killed more than 40 people. 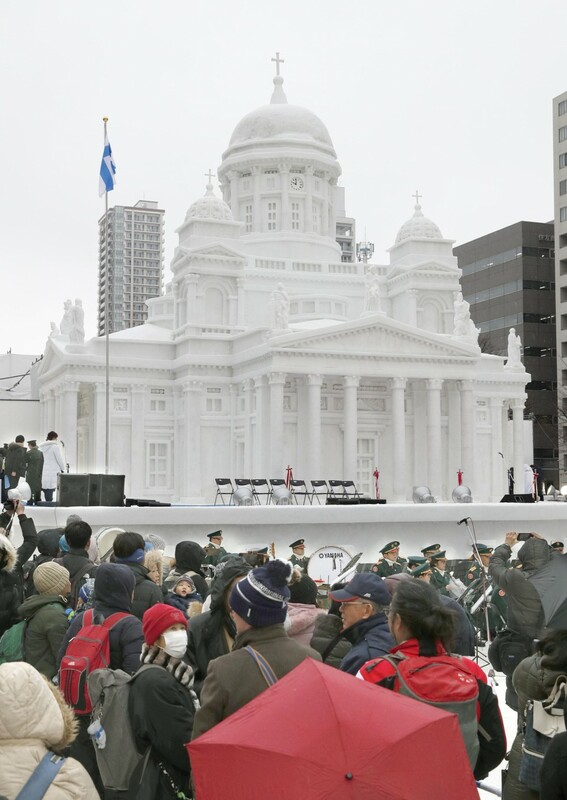 Commemorating the centenary of the establishment of diplomatic relations between Japan and Finland, a snow sculpture of the Helsinki Cathedral was made by local members of Japan's Ground Self-Defense Force at the main Odori site and lit up at night. "The sculptures are bigger than I imagined," said Mayumi Morishita from Tokyo, whose husband lives and works in Sapporo, when she visited the festival with the couple's two sons. The 41-year-old woman said that she had been worried about the quake's negative effects on the festival, but she was "moved" by efforts of local people who have joined forces to make the sculptures. 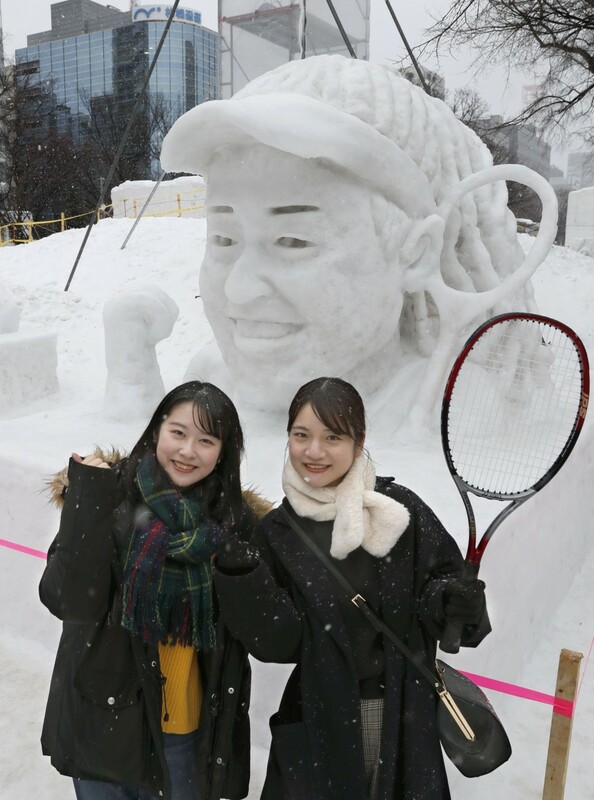 Other exhibits include sculptures featuring Naomi Osaka, Japan's women's world No. 1-ranked tennis player and two-time Grand Slam champion, and "Chibi Maruko-chan," the main character of the namesake manga and anime series created by Momoko Sakura who died last August. More than 2 million people from Japan and abroad are expected to visit the 70th festival held at three sites in Sapporo through Feb. 11. Visitors can choose their favorite from among approximately 80 small snow sculptures and vote through a smartphone app until Friday. The Tsudome site, the festival's second largest display area, opened Thursday, while the Susukino site, showcasing ice displays, began Monday, the same day as the Odori site. On Sep. 6 last year, Hokkaido was rocked by a magnitude 6.7 quake. Most of the 42 people killed were residents in the town of Atsuma in the eastern Iburi region, where massive landslides buried a number of homes, according to the latest statistics from the local government. The quake also caused a Hokkaido-wide blackout.